The Cobra is lining up to be our best selling pair of safety glasses with a most impressive specification to match and available in every possible lens. They are our only safety glasses to have an extra strong B & T rated lens capable of withstanding impacts at twice the speed of other safety glasses. 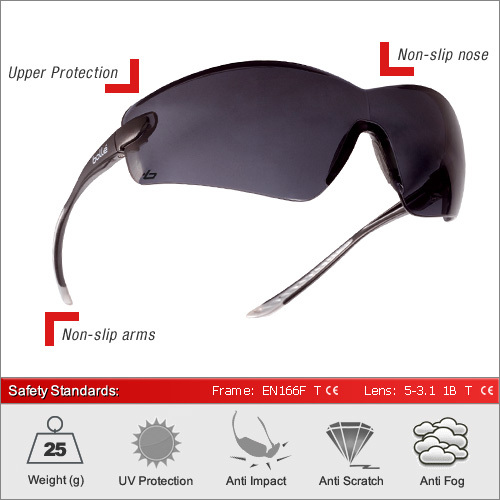 This is due to the multi-purpose design of the Cobra in that it can also be found in the safety goggle section with foam lens surrounds and adjustable strap. 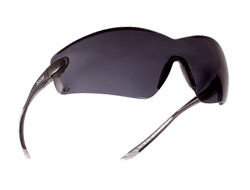 Although this model is not classified as a goggle it has inherited the same higher-rated specifications. They include non-slip arms and a huge panoramic field of view with both anti-fog and anti-scratch properties. 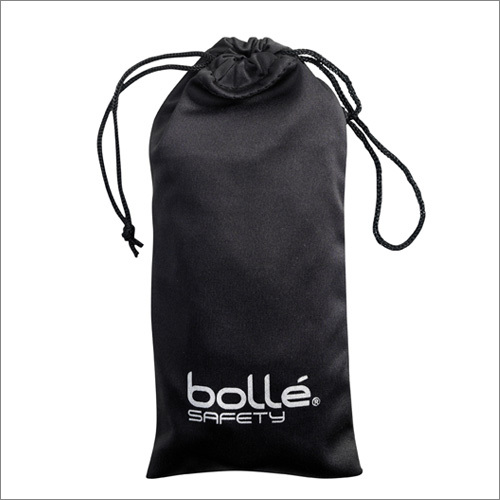 The HD lens model is supplied with a microfibre pouch as standard. We have a huge 7 lenses available in this frame. The clear lens for excellent optical quality 1 performance. The ESP lens for reducing harmful blue light. Smoke for full solar protection and reducing glare. Yellow for low light conditions and the Contrast lens for working under bright lights or sun. CSP for working in low and bright lights conditions in extreme temperatures. Finally the new HD with the highest level or optical clarity and aquaphobic properties. This model is also available with a foam inner layer and strap rather than arms which allows them to be rated as a goggle for protection again liquid droplets under the EN166-3 standard. Please see the Safety Goggles section.